Long Realty each month publishes over 30 Housing Reports showing trends in local real estate markets here in Arizona. 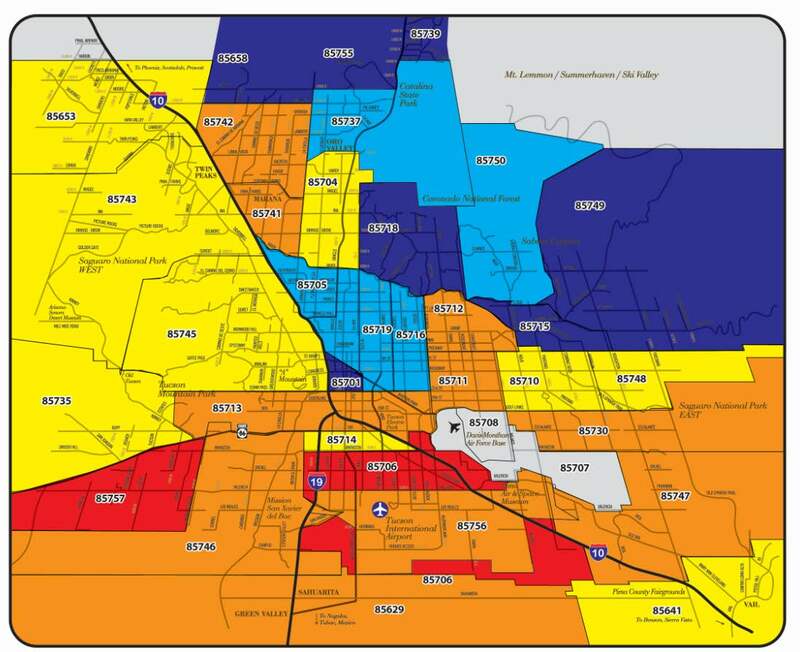 In the Housing Reports for the Tucson area, Long Realty includes a map of Months of Inventory by zip code – which basically shows how healthy the housing market is taking into account supply & demand data. Get the latest copy of The Housing Report. 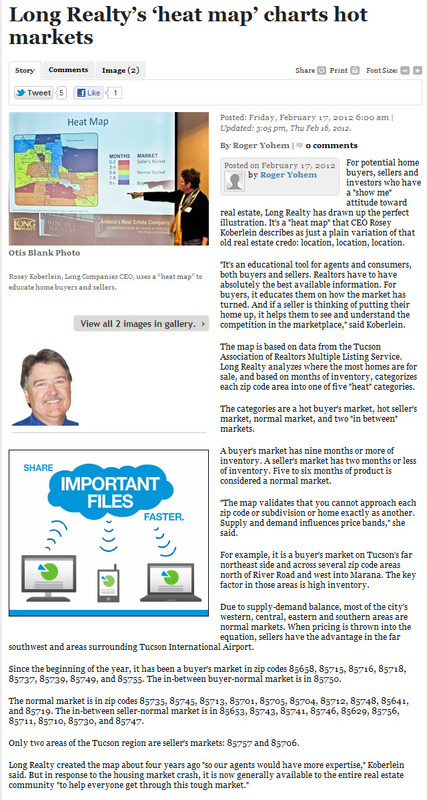 Long Realty's "Heat Map" and CEO Rosey Koberlein were recently featured in an article by Inside Tucson Business – a copy is below. View the original article here. 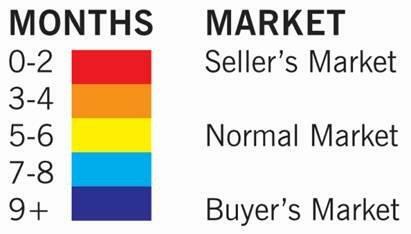 Share the post "Long Realty’s ‘heat map’ charts hot markets"
This entry was posted in Housing Market, News Clippings, Uncategorized and tagged heat map, Housing, Phoenix, Real Estate, report, tucson. Bookmark the permalink. Wow, Great map! Thanks for sharing! The Heat Map you display is awesome! So self explanatory! time to update the heat chart? love it.